This jacket gives a crisp look to outfits and is ideal for transitional weather. 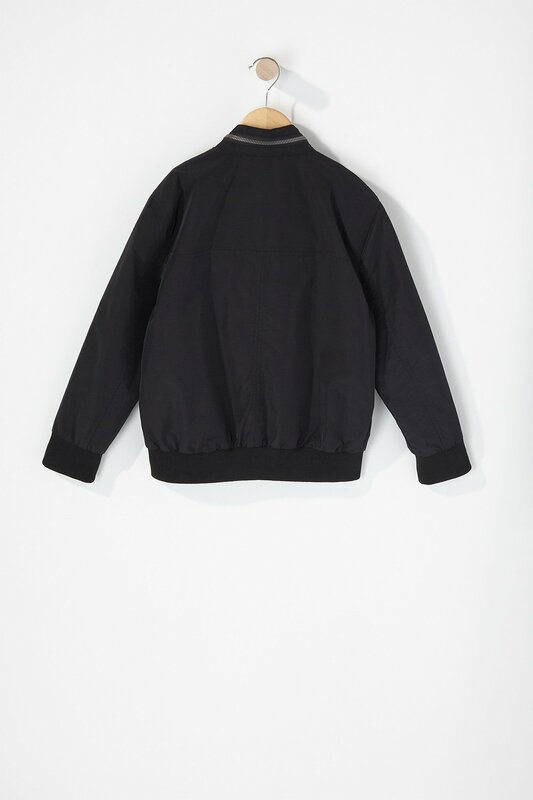 Harrington jacket features lining, zip collar, snap button, zip-up closure, double zip pockets, elastic hem and long sleeves. Chest: 30" Length: 21" Sleeve: 18.5"